« What would You want in a Wife? Loving these tutorials, so clear and easy to follow! Keen to try! 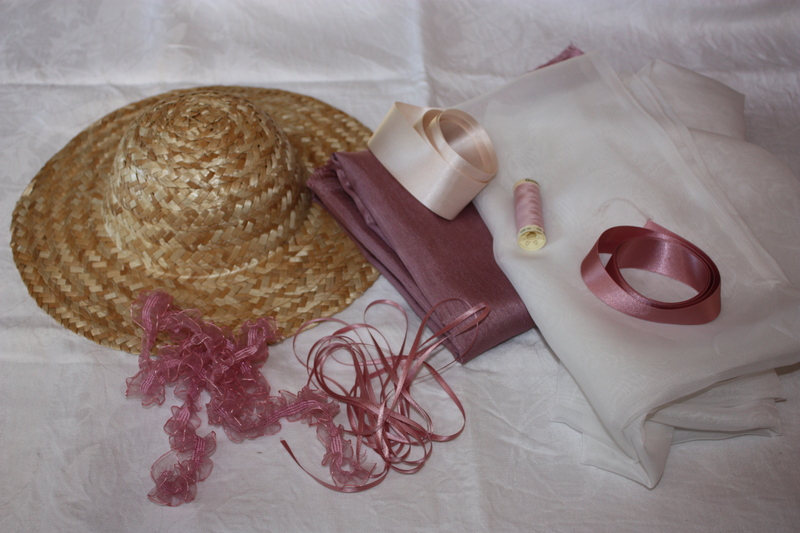 Can’t wait to decide on what colours I’m going to wear to the Jane Austen festival and start making my own! So adorable! I wouldn’t have the skill to do this myself. Would you consider special orders? They are pretty aren’t they! I would be happy to consider a special order, though it may cost a bit to post! It took me about a day to complete once I had all the materials. Feel free to drop me an email about it. Just go to the Contact page to get the address. Just made a black one for a Woman in Black fancy dress costume. Excellent – looks exactly right with a thin veil draped over the top to cover the face! Thank you! Oh, that is wonderful! I am so pleased to hear of your success! Very clever! What a great idea. 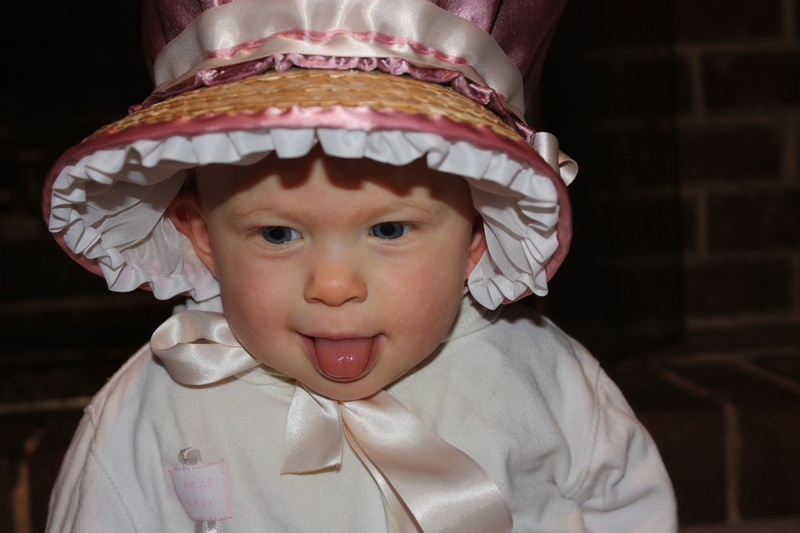 Thanks for posting your lovely photos and great hatmaking tips. A well written tutorial, nicely done. Keep up the good work. And thanks for sharing the info about my book From the Neck Up. 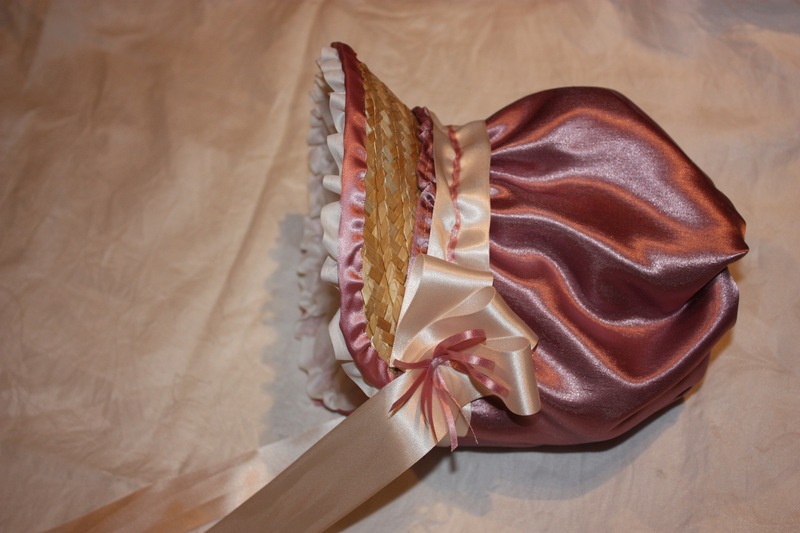 It’s so fun to see what milliners are doing in the world of period hats. From the Neck Up was the book that got me into hat-making! 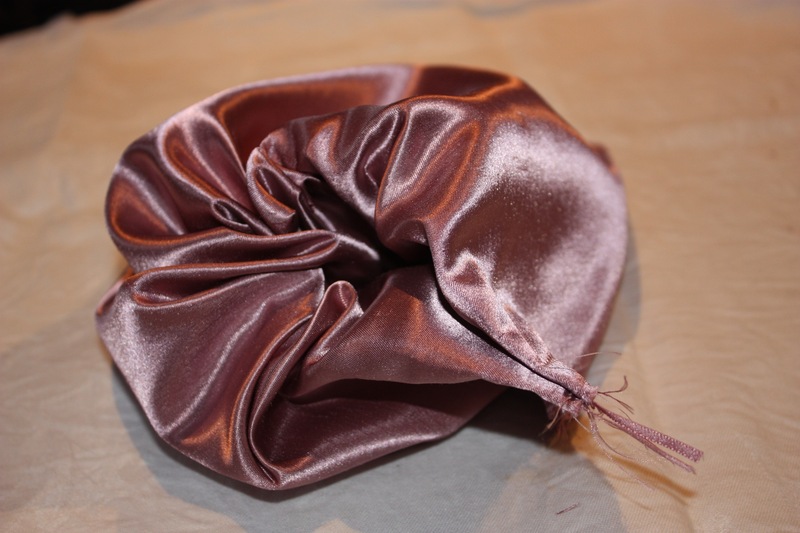 Though I haven’t ever felt skilful enough to build one from complete scratch yet, I would LOVE to do a millinery course one day to learn the more complicated techniques. 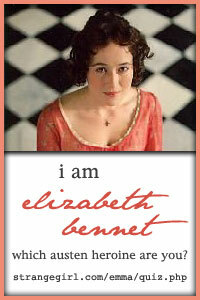 It would be great to one day have matching period hats for all my period outfits! Lovely! So glad it worked well for you. My email address is on the Contact page. I would love to see a pic! 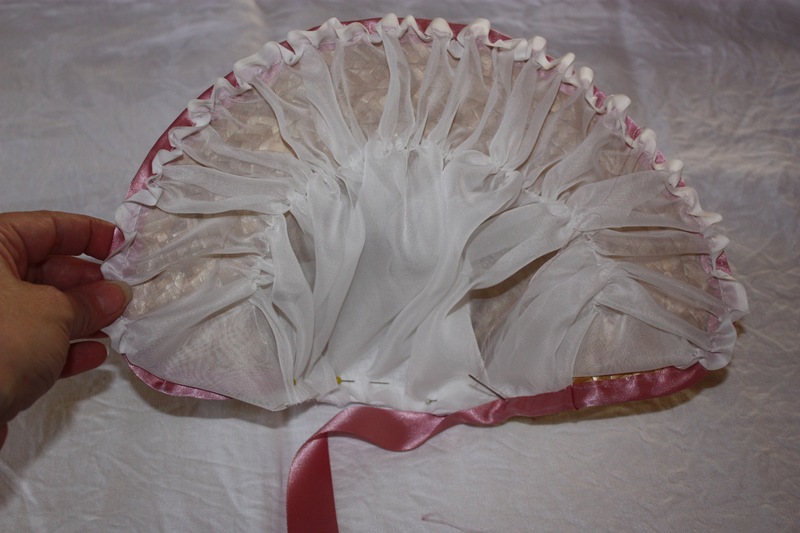 great tutorial- I am about to start my own bonnet, but I am puzzled as to what happens to the bottom bit of the crown that isn’t stitched to the straw top. How do you know how much to gather it up? is it flat for this underneath area? etc. On the ones I have done it turns out pretty flat in that area at the nape of the neck (even though I did gather it initially). 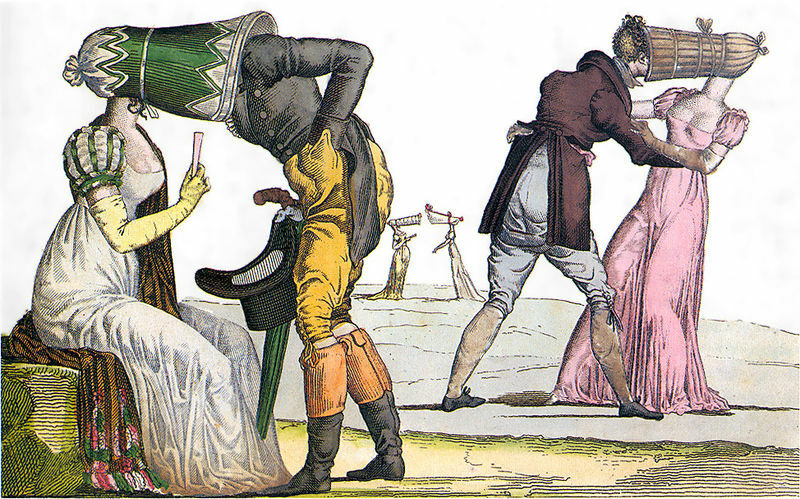 The gathered area of the crown should be gathered enough to fit well around your head (or around the place where you would normally wear your bonnet against your head). You can either try it on and adjust your gathers, or measure the circumference of this part of your head. 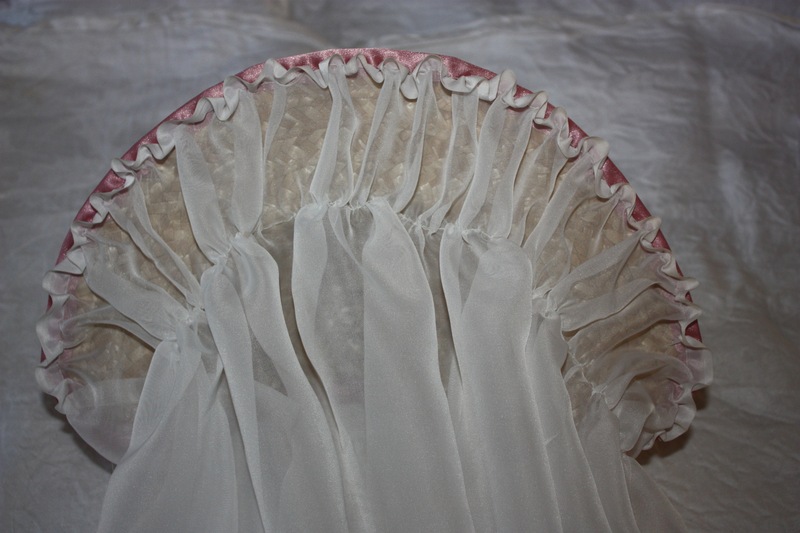 If you wanted it to remain gathered underneath, I would do a line of normal stitching over the gathers (after it has been gathered to the required size). This will hold the gathers in place. Does that help? Have fun creating Adrienne! 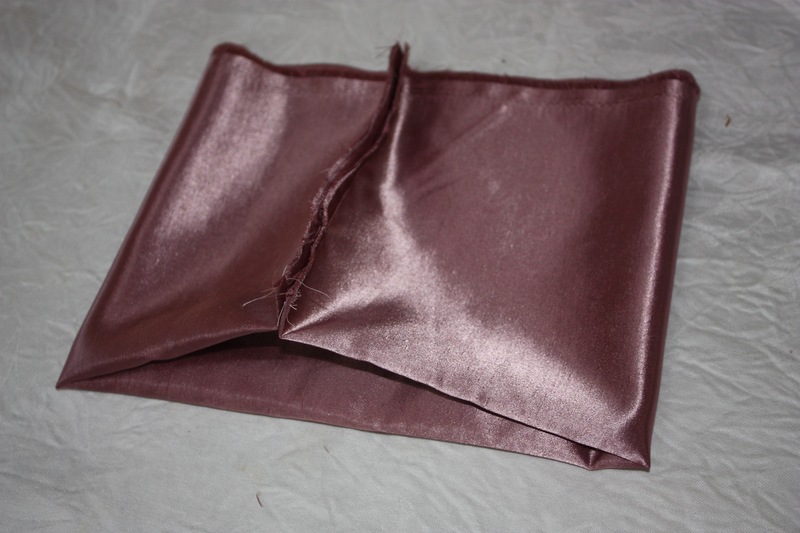 I feel silly for asking this but, when you create a tube out of your fabric, do you sew both ends together or do you have them held together when you thread the ribbon(which seems a little less reasonable .o.)? 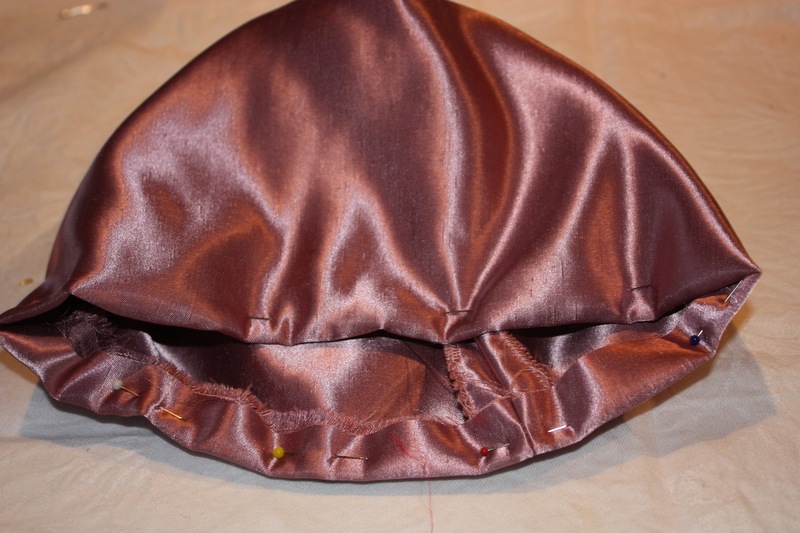 Also, you mentioned leaving a portion near the edge not sewn, how would the ribbon go through properly? o: I honestly did not quite get steps six through eight. Sorry about that! I also found this bit the hardest to understand when I was doing it too! In the first picture in “Step Seven”, you can see where I have stitched the seam of the tube, leaving only a tiny bit near the fold-end unstitched (click on the picture to enlarge it). This will create your tube of material (the material should be doubled over with a fold at one opening of the tube and two raw edges at the other opening). 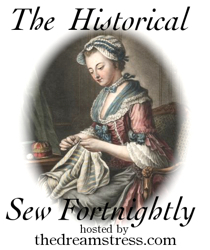 The ribbon is threaded through the tiny unstitched opening left in the seam and then continues to be threaded in between the two layers of material on the folded edge. 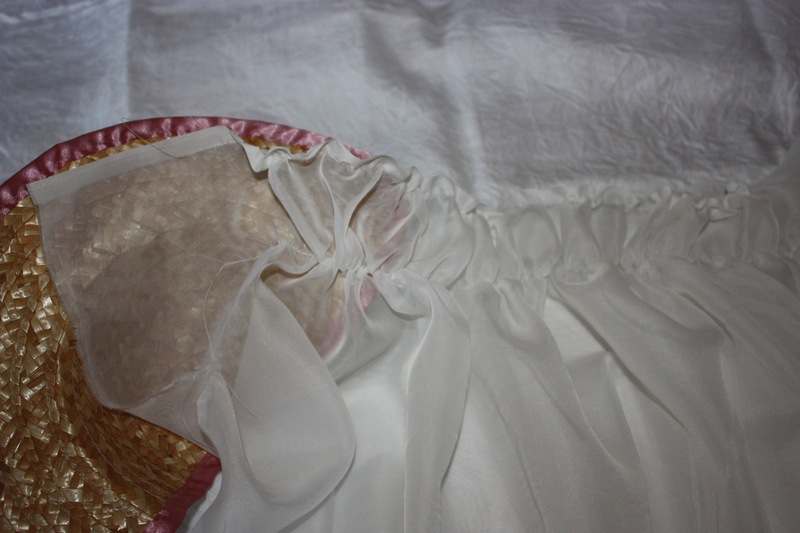 (Leaving this tiny bit of the seam unstitched gives you an opening through which to thread the ribbon.) 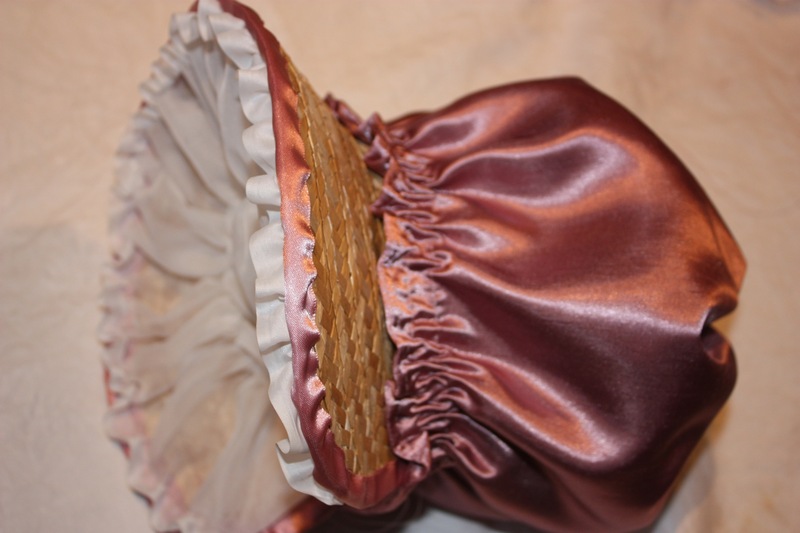 It is not like a normal casing for the ribbon, but when the ribbon is threaded around the entire folded edge (and back out of the other side of the seam) and then pulled tight, the folded opening of the tube should draw to a close to form the top of your crown. 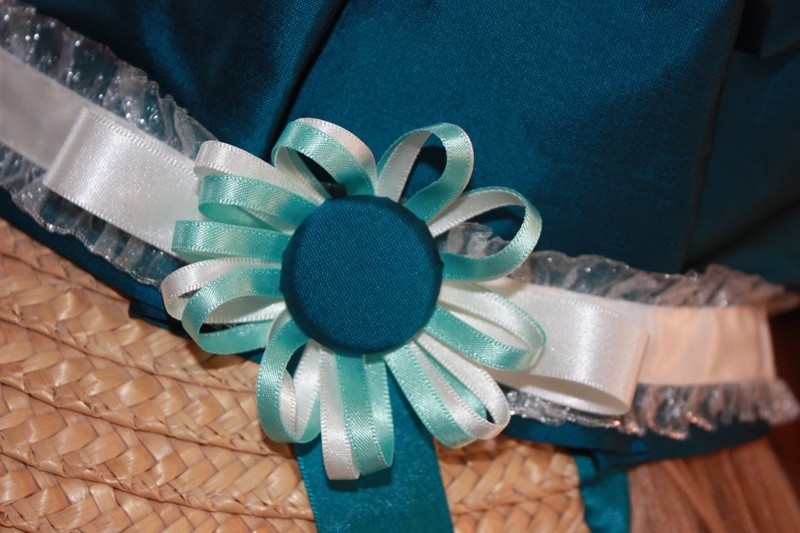 (This is the second picture in “Step Seven”, showing the two bits of ribbon sticking out of the seam allowance. Click on the pic to enlarge.) The ribbon is then tied in a knot to keep the crown closed. You should now have something resembling a cap, with one open end of the tube (consisting of two layers with raw edges) and a closed end of a tube (which is the folded edge of the tube with the ribbon pulling it closed). 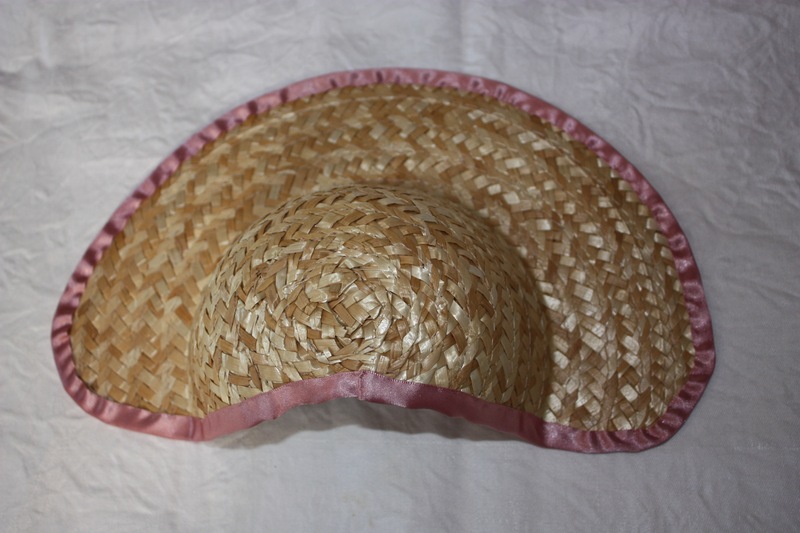 “Step Eight” is about how to finish the raw edges of the open end of the tube (by turning under, or using a bias strip, etc…) and then gathering that edge to fit properly around your head/straw hat. 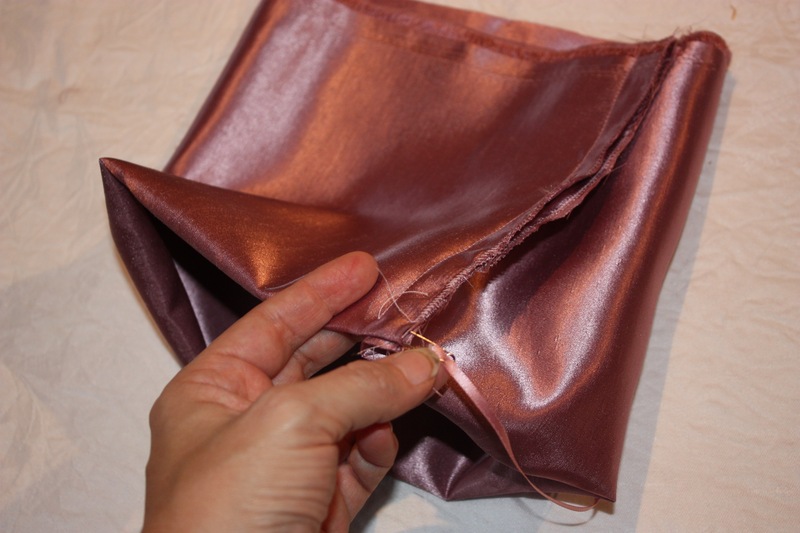 You can also use fray away, or superglue, to keep anything from fraying. Yes, I have been recently introduced to anti-fray liquids! Can’t think how I managed before. This looks so cool. I can’t wait to make these. I made one! 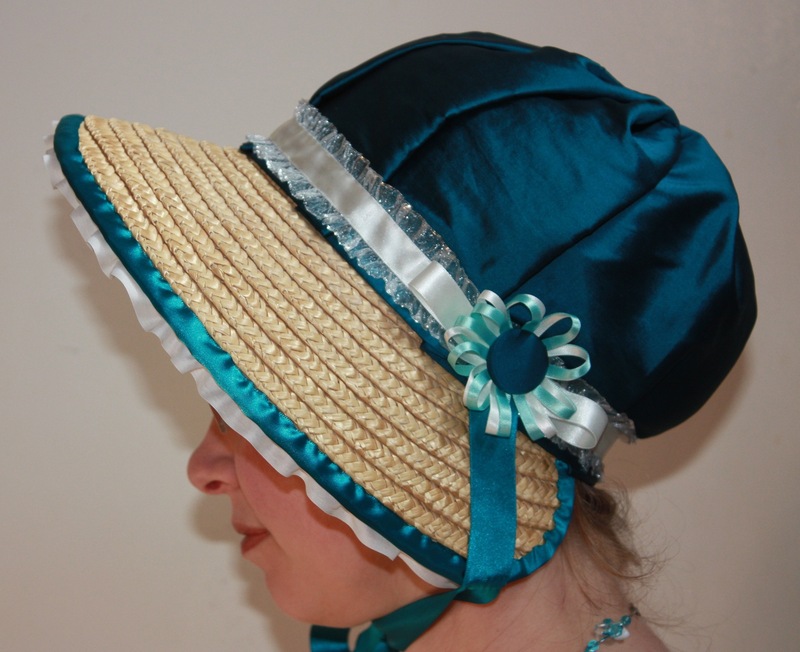 It isn’t a poke bonnet though, but it looks great! Please check out, and say what I did wrong, so I can do it better a next time! You did a wonderful job! 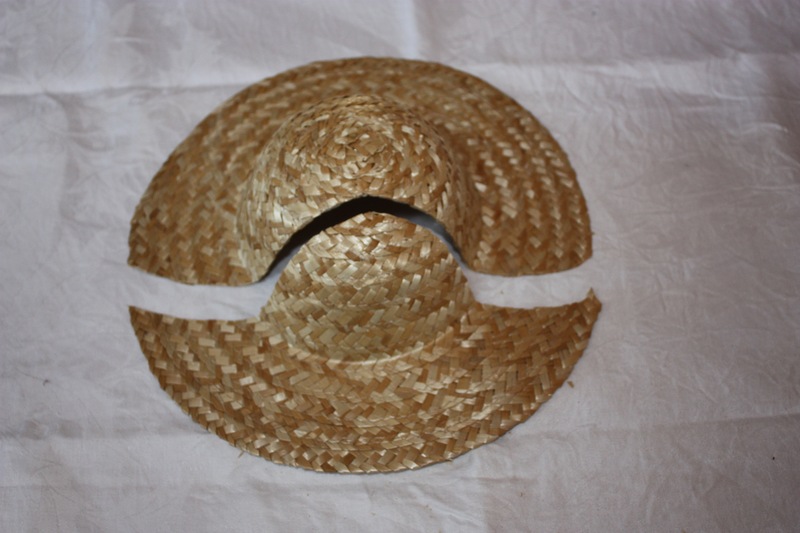 If you found the straw hat fell apart a bit or was a bit floppy or out of shape, you might need a sturdier hat to use next time. I love the blue material you used too. I look forward to seeing some of your next creations! Thank you! I have come a long way in hat-making since then, but I do love these bonnets.